741 Montgomery Dr, Mountain Brook, AL.| MLS# 834023 | Richard Jacks UABLIVING.com 205-910-2297 | Birmingham AL Real Estate | Contact us to request more information about our Homes for Sale in the Birmingham AL area. 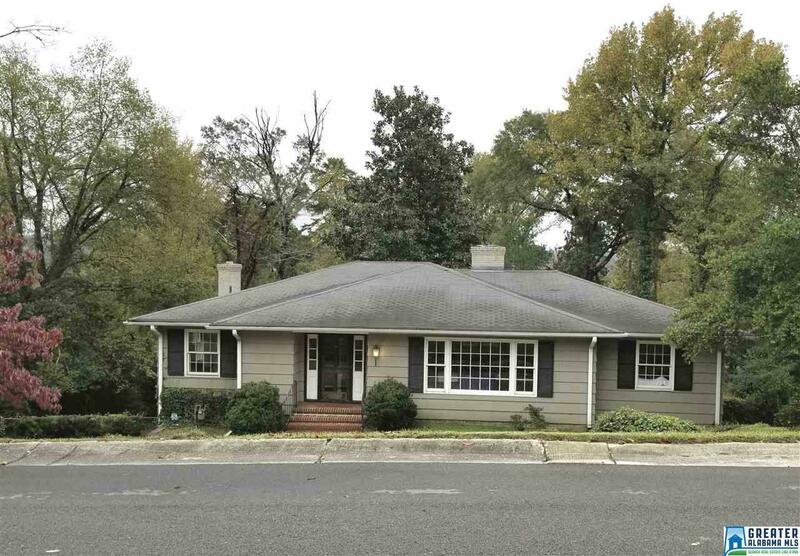 BENTLEY HILLS IS AN OLDER ESTABLISHED SINGLE FAMILY RESIDENTIAL NEIGHBORHOOD IN MOUNTAIN BROOK. EXTRA LARGE LOT .53 ACRES - VERY PRIVATE. HOME HAS A FULL DAYLIGHT BASEMENT PLUS SPACE THAT COULD BE CONVERTED BACK TO 2 CAR GARAGE, FINISHED DOWNSTAIRS WITH 20 X 2O DEN AND FULL BATH. GREAT PRICE ---- WONDERFUL OPPORTUNITY TO BUILD YOUR DREAM HOME OR RENOVATE THIS SPACIOUS FAMILY HOME. LOCATED ON A CUL-DE-SAC WHICH AFFORDS YOU LOTS OF PRIVACY. DO NOT MISS THIS RARE OPPORTUNITY. Driving Directions: From Crestline Village - Go East On Euclid - Turn Left On Azalea -go Top Of Hill And Turn Left On Montgomery. Last House On Left.